Printed circuit boards are connected directly to a motherboard (mainboard) using PC / PCI slot connectors. There exist the PC-AT Standard (also called “ISA”) with a pitch of 2.54mm (0.1 inch) and the PCI Standard with a grid spacing of 1.27mm (0.05 inch) for the gold fingers. Additional there are PCI Express cards (PCIe) with 1.0mm and Mini PCI Express cards (mPCIe) with 0.8mm pitch. 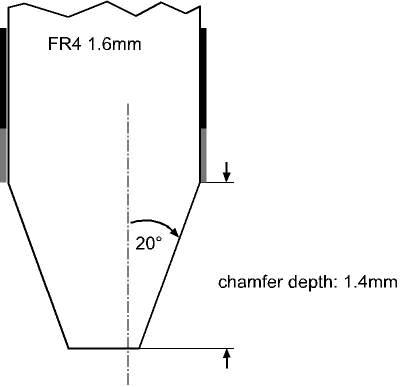 For customer-specific applications, a 30° chamfer angle can also be selected. Bevelling of the gold fingers must be avoided; therefore they must have a spacing of min. 0.7mm from the circuit board contour. 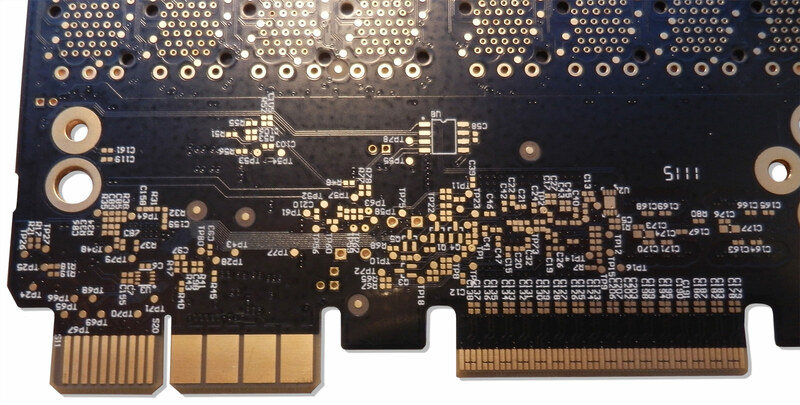 To avoid bevelling the gold fingers, a spacing of 2.0mm from the circuit board contour is recommended for PCI cards. 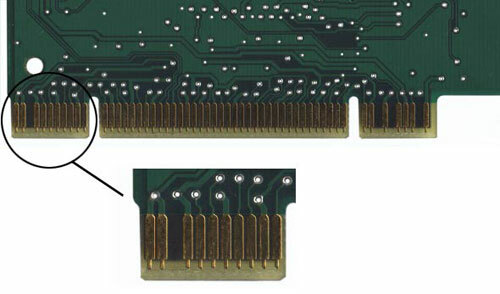 To avoid bevelling the gold fingers, a spacing of 1.4mm from the circuit board contour is recommended for PCIe cards.